In a conference call with analysts, Ford's top executives repeatedly declined to give more details of their plans. "I'd like nothing better than to give you visibility on how we may restructure," said CEO Jim Hackett. "We can only share information publicly once decisions are made." 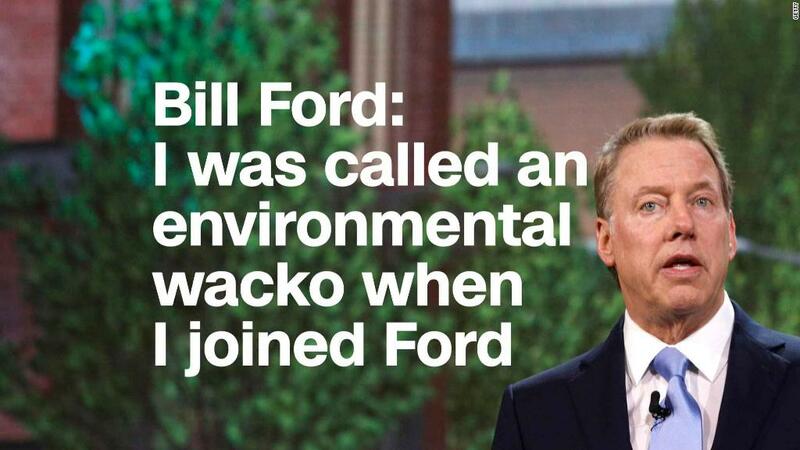 He said various partners, including employees and suppliers, would need to be consulted before Ford could say more. Analysts were unusually critical of the lack of information during the call. While details were very limited, there was good news for those working in the company's North American plants. That part of the company is doing very well, producing essentially all of the profit at the company. 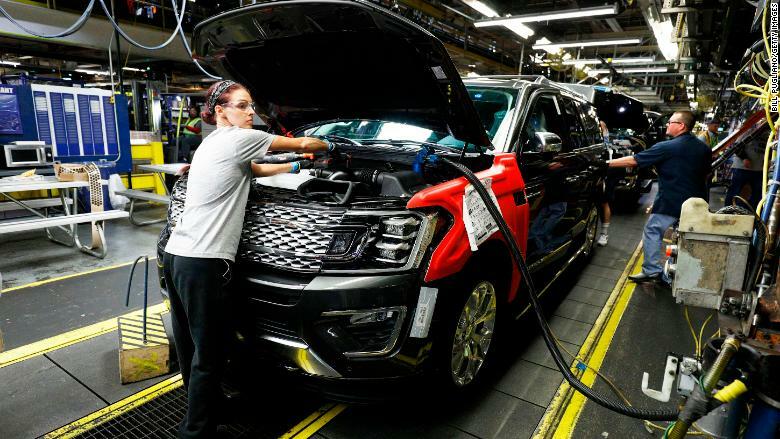 A Ford Expedition SUV going through the assembly line at the Ford Kentucky Truck Plant on Oct. 27. But as with rivals GM (GM) and Fiat Chrysler (FCAU), Ford also reported a drop in second-quarter earnings. It also reduced its earnings outlook for the rest of the year. Ford attributed the lower guidance to lower sales in Europe and Asia, and a fire at a North American supplier. "We're extremely dissatisfied with our performance in Asia and Europe," said Hackett. On Tuesday, Ford announced it was forming a separate unit within the company to focus on autonomous driving vehicle. It had previously announced it will stop selling traditional sedans in North America and it is exploring a possible strategic alliance with Volkswagen. Shares of Ford (F) fell 4% in after-hours trading.